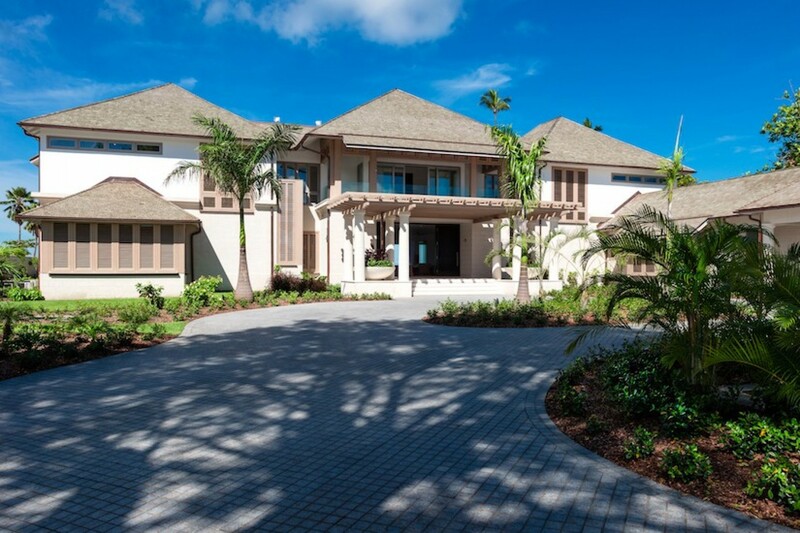 Welcome to Godings Beach House located on the exclusive West Coast of Barbados. This exquisite five Bedroom Beach Front Rental is one of the most luxurious homes on the island and offers a full complement of staff that are on hand to cater for your every need. 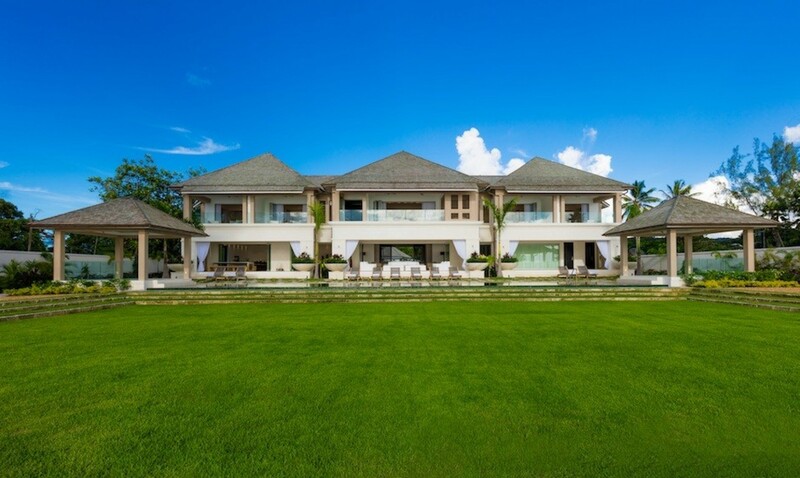 The villa measures over 13,500 square feet and is incredibly stunning with a prime beach front location on one of the nicest beaches in Barbados. Here you can relax on the most powdery white sandy beach, sunbathe under the Caribbean sunshine and swim in the azure sea beyond. 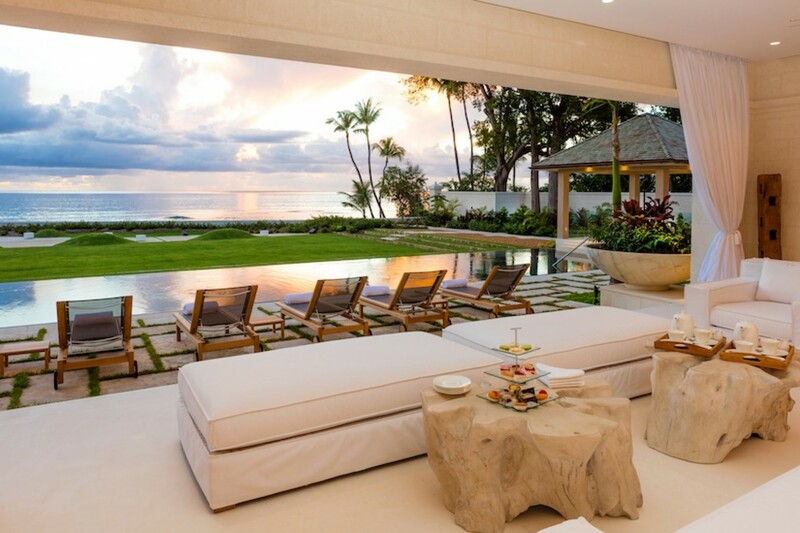 This private residence is set on over 1.2 acres of tropical landscaped gardens fringed with palm trees and offers the most incredible ocean views. 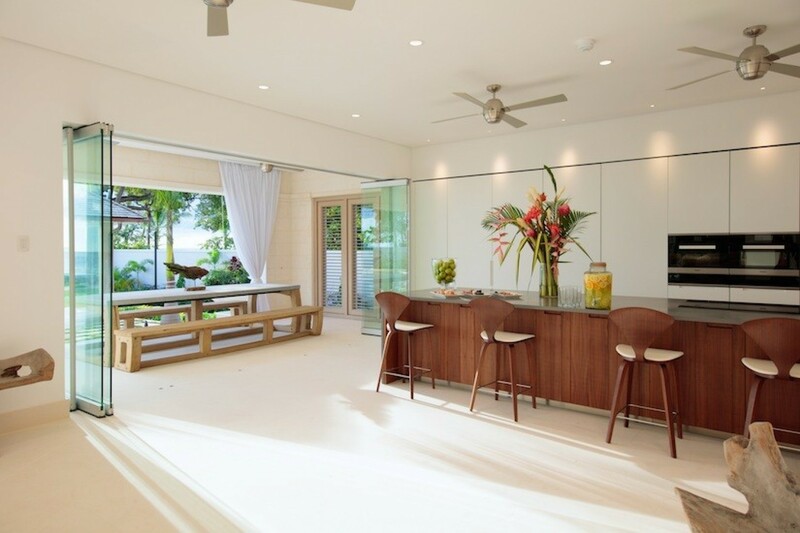 This stunning five bedroom Barbados vacation rental sets itself apart from the others on the island with its contemporary interior design and breath-taking views which can be seen from almost every room in the villa. From the moment you arrive you will feel you have landed in complete luxury. Your staff will be awaiting your arrival and will ensure your vacation starts from the moment you enter the villa. Once you go through the front door, you will enter the plush living areas which are all open plan and have an incredible sense of space. 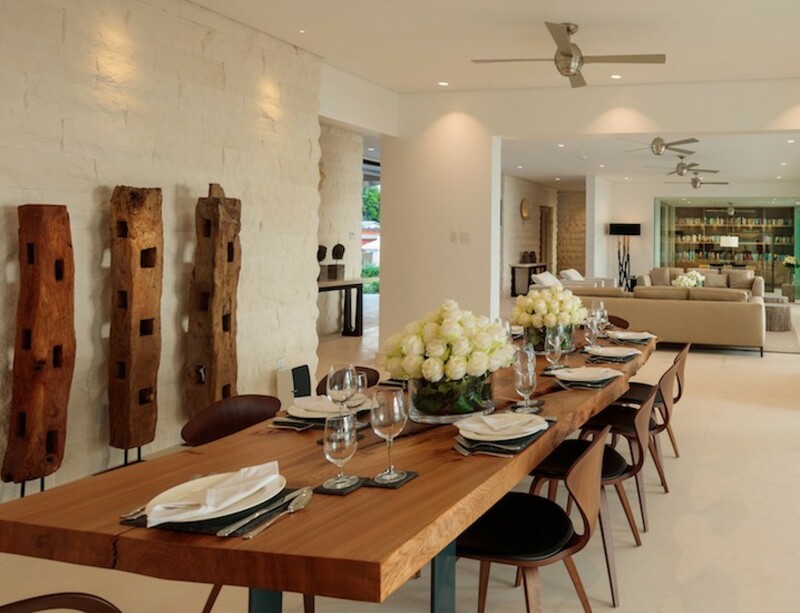 The decor has an extremely luxurious feel with neutral tones, pale limestone flooring and an impressive local coral feature wall. 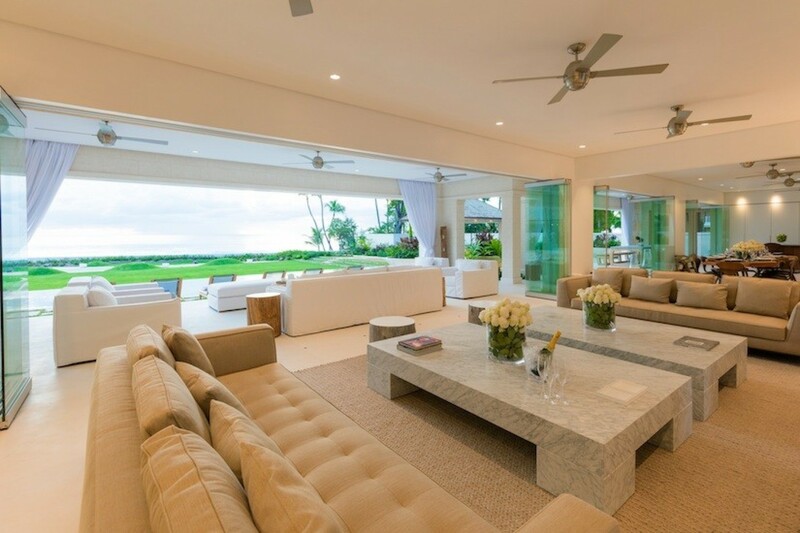 The living spaces are large and offer plenty of natural light though the floor to ceiling windows which also offer magnificent views of the pool and crystal clear Caribbean Sea beyond. 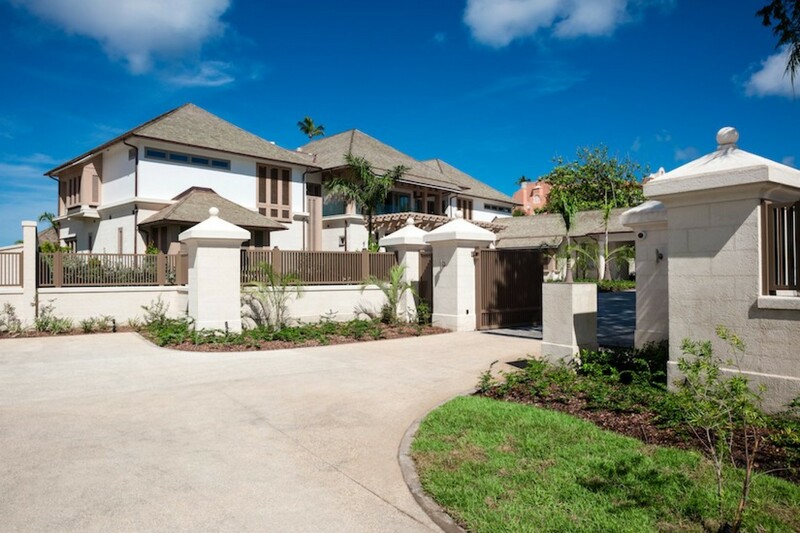 Godings Beach House is gated and is perfect for those looking for a luxury private retreat with family or friends and for those looking to be pampered through-out their stay. 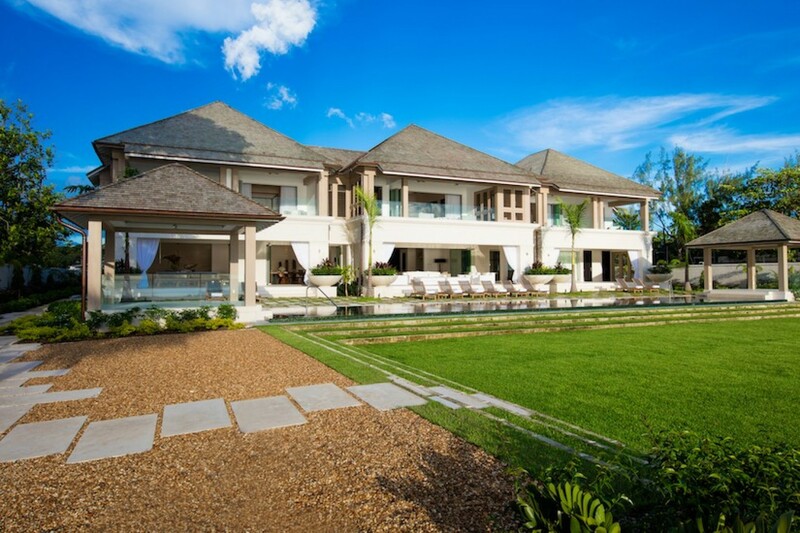 The villa offers contemporary luxury finishes through-out and has been beautifully designed and decorated. 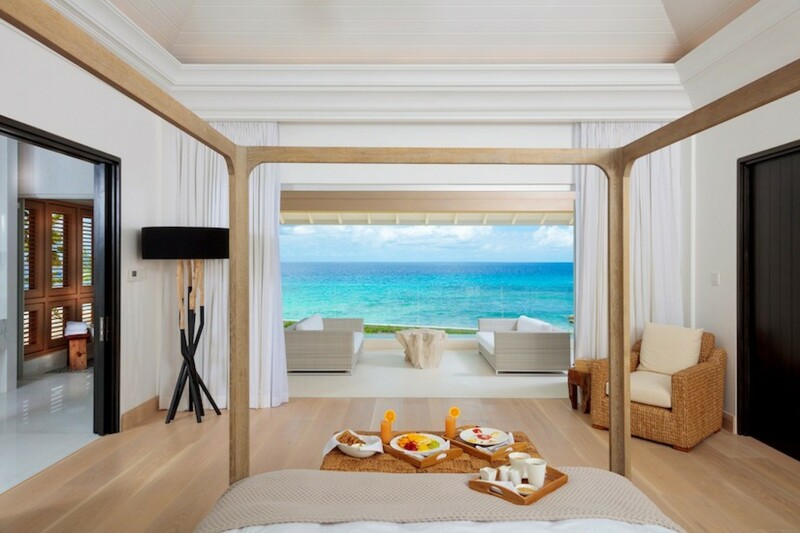 Godings Beach House offers a chic yet private retreat on one of the most prestigious areas of Barbados. 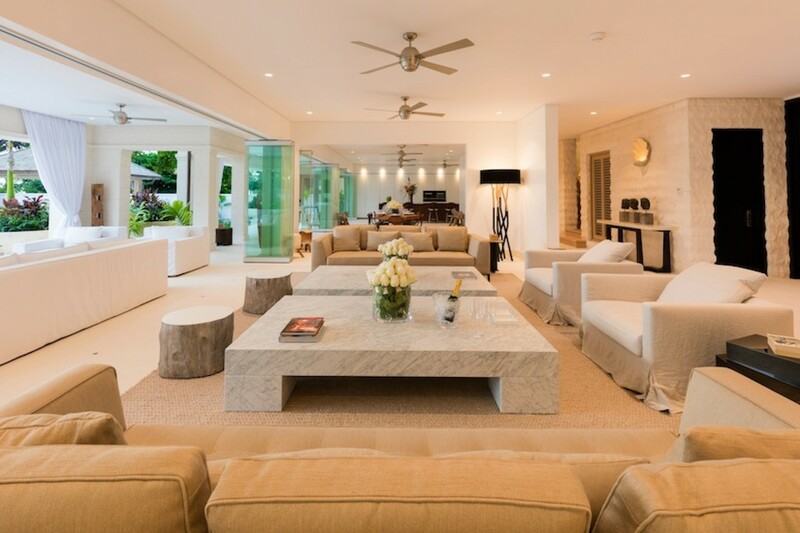 This luxury villa combines modern comforts with luxury living including bespoke furniture, exquisite artwork and designer touches through-out. 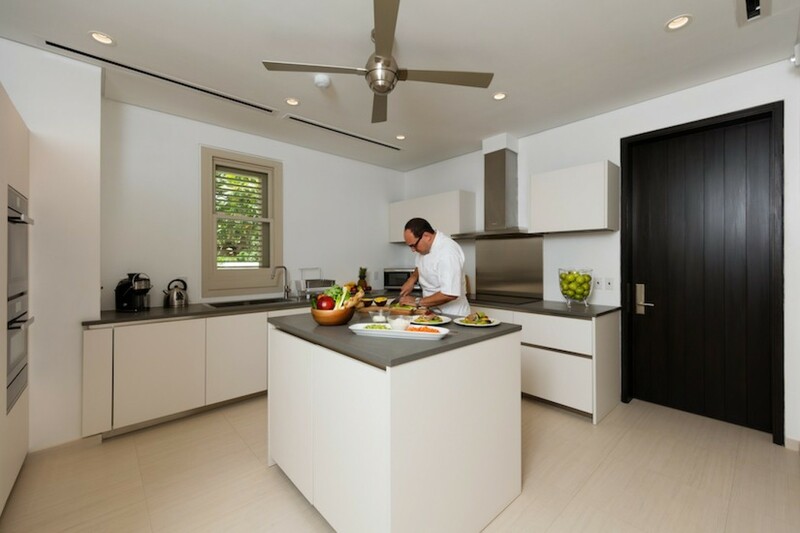 The clever design of the house, using floor-to-ceiling windows and doors ensures that natural light can shine through-out while also opening out to the garden and terrace areas so you can feel the cooling Caribbean breeze. 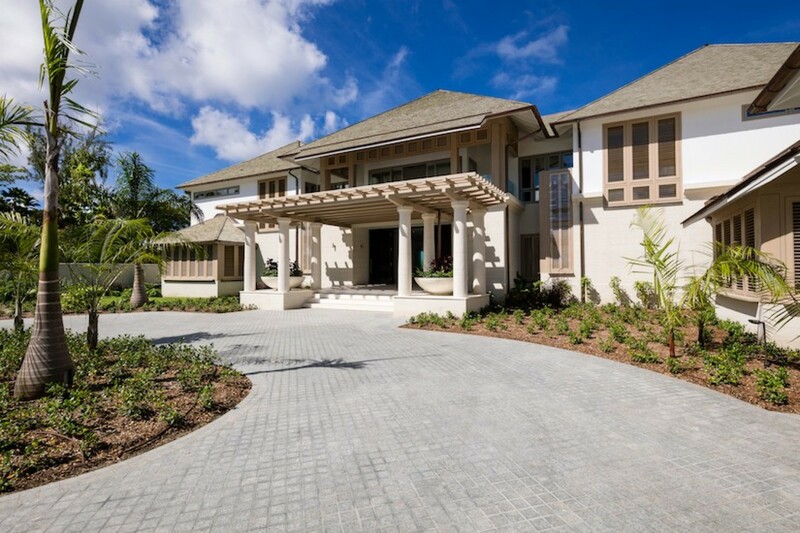 The sleek and contemporary design is the work of local award-winning architects Gillespie & Steel and uses some of the island’s most beautiful materials. 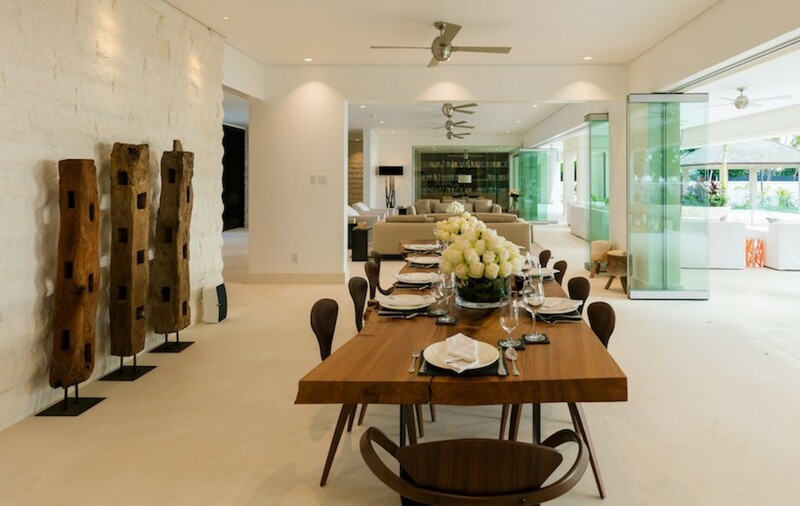 The living and dining areas are furnished with designer pieces from the likes of Maxalto, Christian Liaigre and Ralph Lauren as well as a pair of B&B Italia sofas. The contemporary Boffi kitchen is simply stunning and it comes fully equipped with all modern conveniences you could wish for. Your cook will prepare your meals here so you don’t have to lift a finger through-out your stay. Guests have a selection of dining options to choose from. If you would prefer to be in the air-conditioning you can dine inside in a more formal setting, around the grand bespoke Whetstone Oak dining table. Or if you prefer an alfresco dining experience you can enjoy dining outside on one of two shaded dining areas, perfect for enjoying a beach side lunch or more casual evening BBQ. Cocktails before dinner can also be served outside on the terrace. 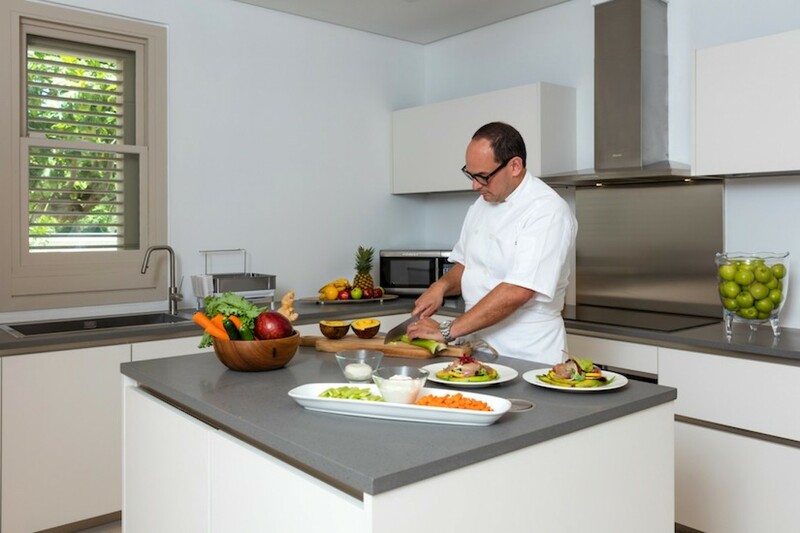 The chef will prepare the meals for you and each menu will be tailored to each person’s preferences by the resident chef. 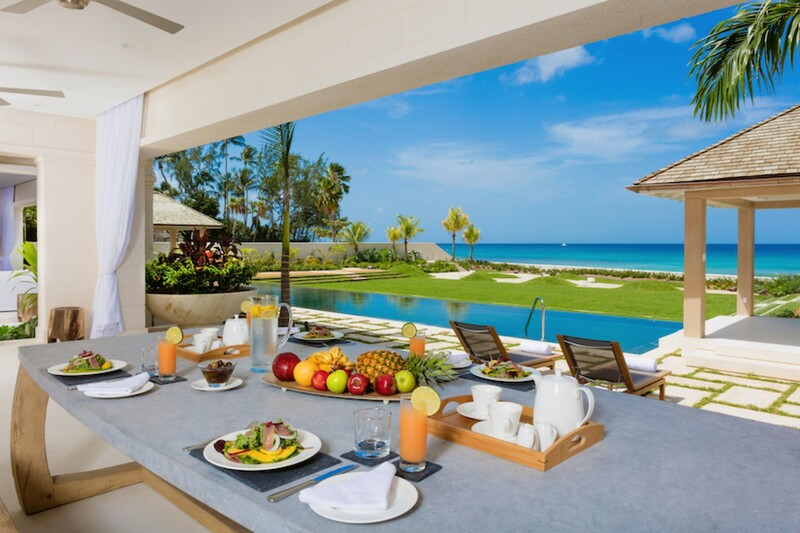 While staying at Godings Beach House in Barbados you will be personally looked after by our entire team of professional staff who are on-hand to ensure your vacation is one to remember. Our team of professionals offer attentive, yet discreet service including a butler, housekeeper, gardener, cook and security guard. Our team will tailor-make each guest stay and can arrange experiences that will make this vacation one of a lifetime. 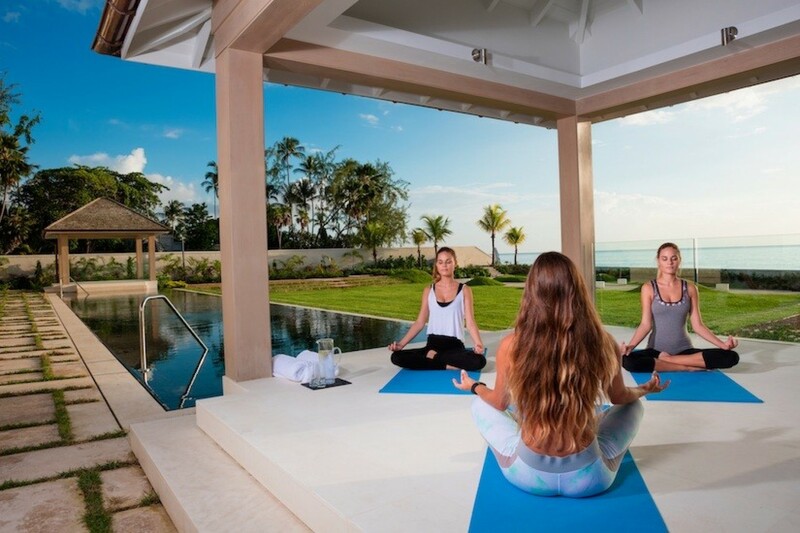 The team often arrange activities from sunrise yoga sessions and fresh juices overlooking the Caribbean Sea, to stand-up paddle boarding adventures or perhaps a seafood BBQ party around the pool. Every last detail has been thought of and will ensure your vacation is exactly as you want it. 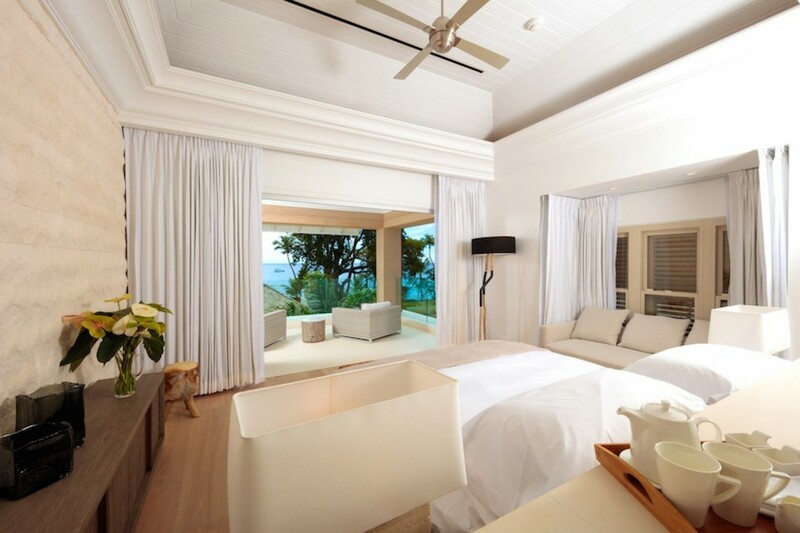 The villa boasts five luxurious and spacious bedrooms located upstairs, each of which offers breath-taking ocean views. The bedrooms are all en-suite and are beautifully furnished featuring walk-in dressing rooms, American oak flooring, Ralph Lauren bed stools and a collection of other unique pieces. Some of the bedrooms also feature four poster beds dressed with crisp white designer linens. Guests can enjoy the spectacular views from their own private terrace. 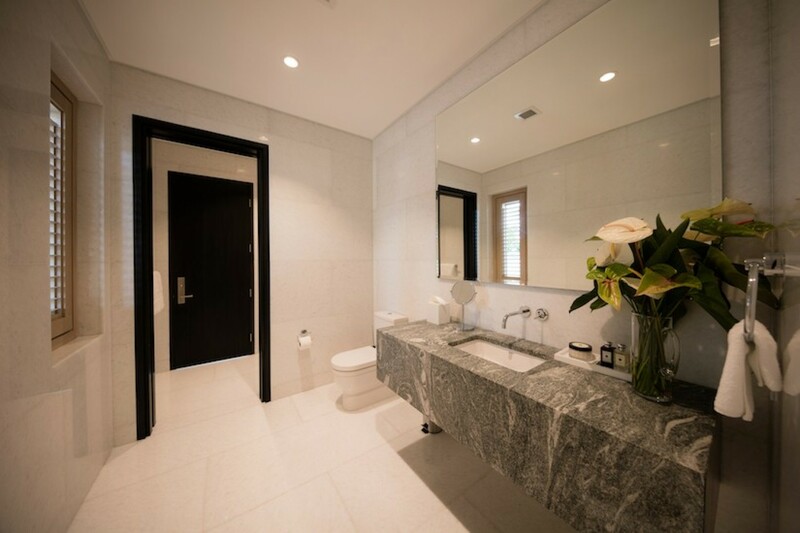 Each of the bedrooms also comes with luxury en-suite bathrooms furnished with Hansgrohe rain showers, mosaic tiles from Ann Sacks and marble vanities. 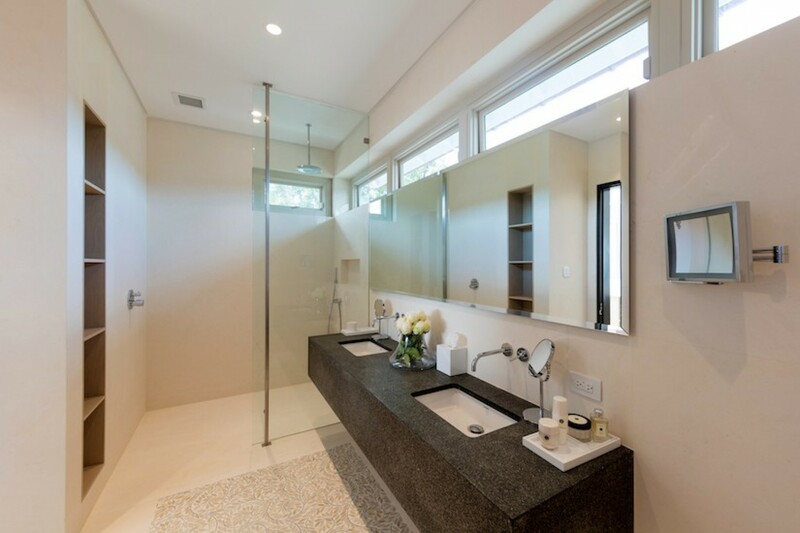 The Master en-suite bathroom is particularly stunning and additionally features a round soaking bathtub sitting at the base of a floor-to-ceiling window offering sweeping garden views down to the beach. Besides the prime beach front location of Godings House, you are also in a wonderfully central location on the West Coast of the island. The location places you equidistant between the historic Speightstown and the more upmarket Holetown, where you find designer shopping, trendy bars and restaurants to choose from. What’s more, the house is only a few minutes’ drive from three of the island’s most prestigious golf and polo clubs and two marinas. 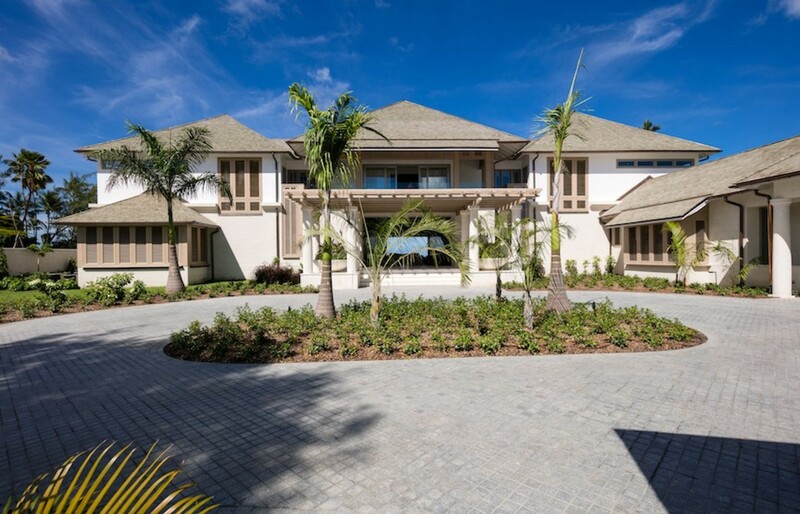 Godings Beach Front Villa in Barbados also features some added amenities which is great for a family with children, these include an indoor cinema/media room, a state of the art gym, 25m infinity swimming pool and an array of water sports equipment. The house comes fully equipped with its own kayaks, and paddle and body boards to take full advantage of its beach-side location. Alternatively, a crewed catamaran can be arranged for sailing adventures with a gourmet packed picnic and chilled drinks on tap. Godings Beach House also features a glass-walled study for those needing peace and quiet on vacation. 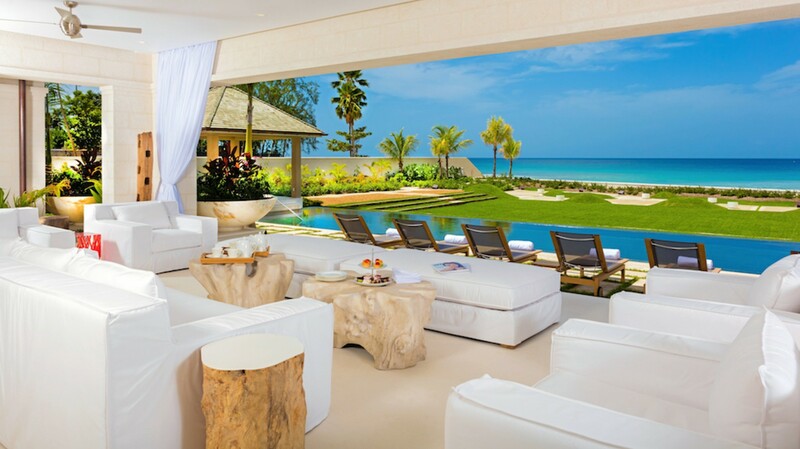 This luxury and contemporary villa really is one of the most spectacular on the island and offers guests a fully staffed vacation experience in a prime beach front location. All the family loved the villa. The décor is exquisite and its real indoor outdoor living which we wanted. There is some coral in the sea but we found wonderful swimming spots to either side. Yvonne can you send me other contemporary villas to look at for next time or we might just return to Goddings! Thank you. I was completely blown away by Godings Villa. When I walked in the door, my breath was taken away. It is totally stunning. The views from all the bedrooms are incredible especially the master bedroom. The villa is very contemporary and modern so I wouldn't recommend it to guests who prefer more traditional villas but if you like modern clean lines then you will not find a more beautiful villa anywhere..
Utterly stunning modern contemporary villa - the space & the views are breath-taking. I loved the seaviews from the bedrooms & particularly loved the master en-suite- what a bath tub! 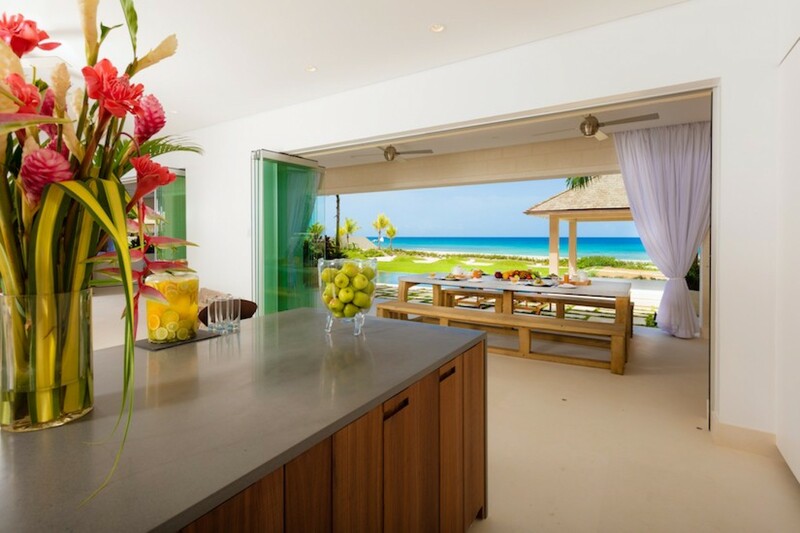 This villa epitomises caribbean beachfront luxury.